About one week ago was the most recent blood moon and all of the “prophets” are pointing to the end of the world and the return of Jesus. The theory that the blood moons signify Jesus is returning, or at least that something majorly significant is about to happen, has been blowing up my Facebook feed. If you haven’t heard about this, you can get caught up to speed here. However, I firmly believe that the blood moons have absolutely zero to do with Jesus coming back. So let’s answer 5 questions regarding the concept. 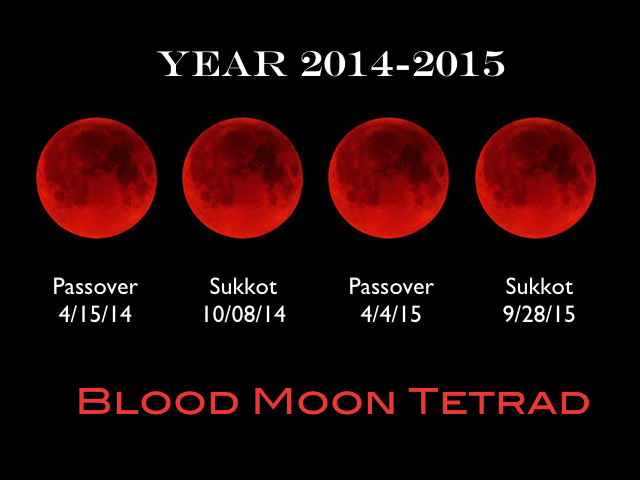 The most recent blood moon is the 3rd of 4 in a row that will take place over a two year span. What has interested people is not just the number of blood moons, but the timing. Each one takes place on the first day of Passover and the first day of Sukkot (both significant Jewish holidays). This has people thinking that these are a sign from God. Where are people getting this from? Revelation 6:12 – I watched as the Lamb broke the sixth seal, and there was a great earthquake. The sun became as dark as black cloth, and the moon became as red as blood. Matthew 24:29 – Immediately after the anguish of those days, the sun will be darkened, the moon will give no light, the stars will fall from the sky, and the powers in the heavens will be shaken. Joel 2:30-31 – And I will cause wonders in the heavens and on the earth—blood and fire and columns of smoke. The sun will become dark, and the moon will turn blood red before that great and terrible day of the LORD arrives. Does this language usually mean something in the Bible? Yes! What a great question! In the Bible, the shining of the sun, moon, or stars represents a time of prosperity. In contrast, the darkening, or falling from the sky, or one of them changing to blood, represents a time of judgment or hardship. These images are not literal. The destructions of many kingdoms in the Old Testament are predicted with this language. Last time I checked, those kingdoms are gone but the stars are still in the sky and the sun is still shining. So what do these verses actually mean? Revelation – This is figurative language used to describe the judgment coming against Rome for persecuting the church. I have a whole series on my blog I’m working through on understanding this. Check it out here. 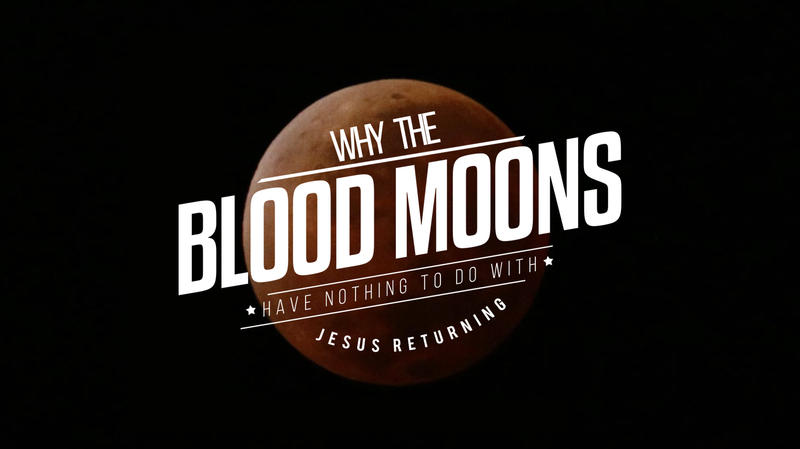 Matthew – Jesus is not talking about the moon literally turning to blood before he returns. He is not even talking about when he returns. He is talking about the destruction of the temple. This passage begins with Jesus telling the apostles that someday not one stone would be left on another in the temple. They ask when that great event will happen. Jesus says, this generation will not pass away until this takes place, and it didn’t. That event happened in AD 70. In the verses following he tells them that there will be NO SUCH SIGNS of the end of the world. (Including blood moons). A plague of locusts comes through and destroys the food supply of Judah. According to Joel, the plague was not random. He sees it as a judgment from God. He sees the locusts as God’s army. “Then, after doing all those things, I will pour out my Spirit upon all people. 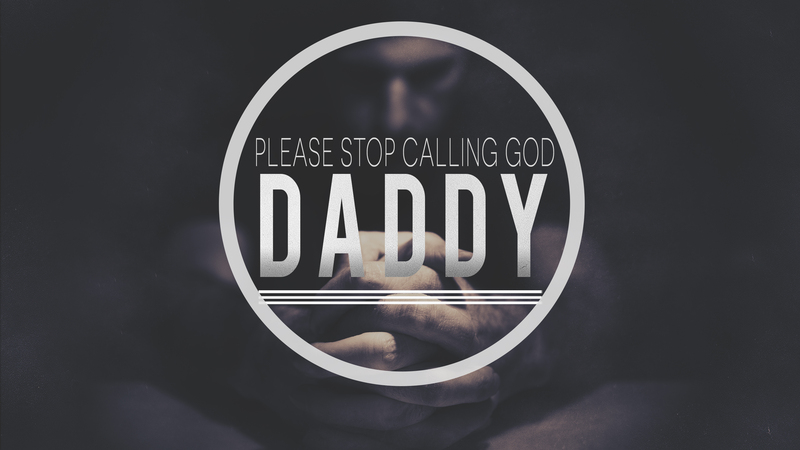 Your sons and daughters will prophesy. Your old men will dream dreams, and your young men will see visions. In those days I will pour out my Spirit even on servants—men and women alike. And I will cause wonders in the heavens and on the earth—blood and fire and columns of smoke. The sun will become dark, and the moon will turn blood red before that great and terrible day of the LORD arrives. But everyone who calls on the name of the LORD will be saved, for some on Mount Zion in Jerusalem will escape, just as the LORD has said. Maybe you have heard this scripture before, but not in Joel. That’s because Peter quotes it in Acts 2, after the Holy Spirit comes. He quotes it because he says that when the Holy Spirit came, this passage from Joel was fulfilled. Wait a minute! How can this passage refer to blood moons in 2015 when Peter said the passage already came true almost 2000 years ago? Exactly! So what was Peter talking about? The coming of the Holy Spirit began the fulfillment of this prophesy that God would pour out his spirit on all people (it’s in Acts 2). He said wonders would happen (we read about a ton of miracles in Acts). Then the sun will become dark and the moon will turn to blood (which we known means struggle and hardship) before the day of the Lord. I would say the Church has definitely faced struggle and hardship, and will continue to, until Jesus returns. Jesus made it clear that would be the case. The amazing part is at the end though. Even though we will face hardship, those who call on the name of Jesus will be saved. Jesus brings deliverance for his church, and for all who accept him as their savior. What an amazing message. So what do we know about when Jesus will come back? Unfortunately, not much. Jesus said he himself doesn’t know when he will come back. He says the day and the hour are not known. There are no signs laid out in scripture. It may be soon, it may not be. I can tell you though, that the blood moons have absolutely nothing to do with when he will come back. So instead of counting down the days until September 28 and the next blood moon, go out and start telling people that even though this world is full of struggle and hardship until Jesus returns, if they call on his name they can be saved. If you ask anyone who is semi-interested in Church Leadership Trends, they will immediately be able to tell you that the “In Thing” right now is to hire from within. This is the process of looking to your church members when an open position becomes available. This model that has been highly endorsed by lifechurch.tv. Craig Groeschel has said that about 85% of the hires that take place there are hired from within. He has even posted a great blog about all of the benefits of hiring within which you can read here. Now don’t get me wrong, Craig Groeschel makes some great points, is infinitely smarter and more proven than I in Church Leadership, and obviously what he is doing is working. But can we also admit for a moment that most of us don’t work at a church like LifeChurch? Obviously there are exceptions to every rule, and I know several churches who have made great hires that came from within. Of course we should be striving to make disciples and raise up leaders around us. My issue is not with the concept of hiring from within, but with the mantra that comes with it. It seems that the Church today is beginning to make the hire within model the go-to hiring process. Church Leadership gurus are on this kick that says hiring from within should be your first (and sometimes only) option. They have defined hiring from within as the win and if you can find someone inside your church to fill your next open position, you have won. I don’t buy it. It seems to be that the “hire from within” battle cry is hurting our church in some ways that majorly overshadow the positives. How? Three main ways jump out to me. Unfortunately, I have seen this play out many times, and often at no fault of the hiring process. Sometimes new hires just don’t work out. I interviewed at a Church who had let the previous pastor go after only 6 months. They had done an extensive interview process to find him. I have worked with someone who left after less than 1 year because it didn’t work out. My first full time ministry was only for 20 months. Not every failure is due to someone not doing their homework during the hiring. Sometimes it just doesn’t work out. This is never a fun situation to wade through, but it becomes astronomically worse when the hire came from within. Whether the leave is a forced leave, a mutual agreement, or a resignation, you are putting this hire is an extremely tough and awkward position. Now they have to most likely leave the church that they have been attending and serving at for years before they were hired. Most likely their families have strong relationships there as well. Also, you are causing a major setback to ministries as other volunteers and members have loyalties to this person rooted in years of service together. If you hire from within, you are asking for a disaster on your hands if it doesn’t work out. I think in many hire from within situations, pastors are left on staff long after they should have been removed for the sole reason of avoiding this inevitable outcome. For some reason this aspect is often ignored or belittled, but I think there is extreme significance to proper education, training, and experience for a job. There is a reason that I should not be trusted to treat cancer patients in the hospital no matter how much I volunteer there, how many hospital calls I have done, or how many times I have had to be treated at the hospital myself. We only allow the utmost education and training when it comes to dealing with physical lives yet for some reason we are so lax when it come to spiritual lives and eternity. The guys who started the church trained directly under Jesus himself for 3 years! The training I received at Bible College in how to study and interpret the Bible, how to present that truth, how to counsel, and how to understand important and deep theological truths, were invaluable. They are not easily replaced by reading a book, hearing a bunch of sermons, being in a small group, and volunteering in a ministry. Sometimes you score big an end up with someone you can hire from within that has training in a seminary and experience, but those situations are few and far between. It is difficult for me to accept that loyalty to the vision and understanding the culture are adequate substitutes for understanding how to read the Bible in its original language, knowing how to interpret the Bible throughout its different genres, and being properly trained to teach others the Bible as well as showing them how to follow Jesus. This is especially true if you are not part of a church who only does video teaching from the senior pastor and teaching team like Lifechurch does. The majority of pastors who lead large churches around the country and have marketing or business degrees are typically the ones we point to as being weak and shallow theologically. I can think of one in particular right here by me in Houston. Experience is important as well. Hires from within may not have to be brought up to speed on the pulse of your church, but have they ever planned and coordinated an event? Have they ever developed a sermon series? Have they ever recruited and trained volunteers? Have they ever used a database? Have they ever planned a missions trip? Bringing your hire from within up to speed may be a WAY more exhausting task than helping an outside hire understand your vision. I love LifeChurch and Craig Groeschel, and I think what they are doing is great. I also think that if you have between 50,000-70,000 (depending on which report you read and how recent it is) members you probably don’t need to change what you are doing. Unfortunately, most of us don’t work for LifeChurch. When you hire from within, you get someone who already knows and understands the vision, the culture, and the people of the church and that’s great. The question becomes, do you want to maintain, or do you want to innovate? If you bring someone on who understands your vision, culture, and history, you are going to get the same type of ministry you have always had, with the same results. If you are content with that, it may be an issue. If you just want to maintain your ministry and have it be the same as it’s always been, hire from within. You will get a person whose only context is your church. But what if you want change, innovation, and growth? Don’t you think some fresh eyes would help? The best ideas often come from fresh eyes and push back. The best push back and freshness of eyes come from someone with a totally different perspective and context. They can more easily point out the things you are just doing because you have always done them. 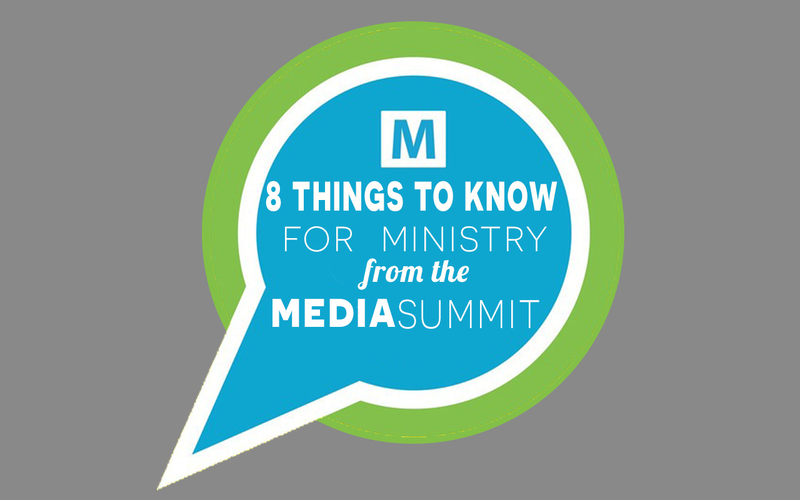 They more easily see the most ineffective ministries, programs, and processes. They are not blinded by the culture and history of your church. Sometimes this is a good thing. It creates some of the best synergy. The question of hiring from within or from outside ultimately comes down to the question: “Do I want to maintain or change?” The vast majority of churches in America should not be content with maintaining because what you are maintaining is honestly not all that great. It’s time for less inbreeding and more innovation! Overall, I don’t think hiring from within is always a bad thing. I know some churches have had great experiences with this process. I understand the value in having someone who knows and understands the vision and culture of the church. I just don’t think this should always be our first and only option. 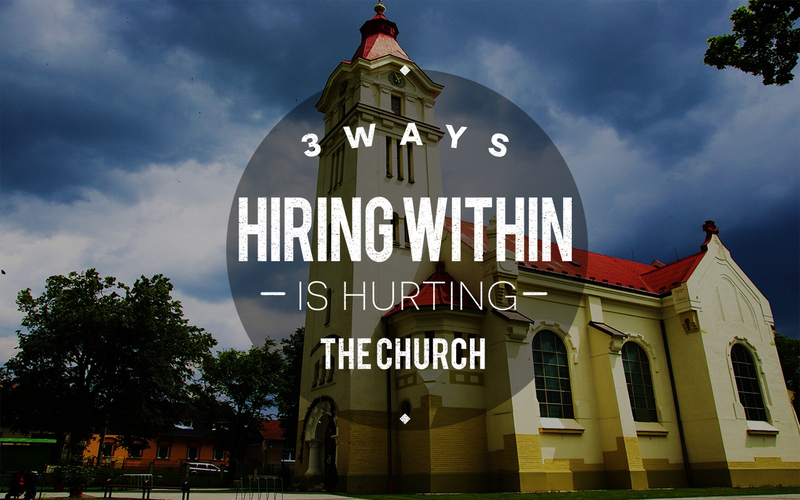 I don’t think it should always be celebrated as the win, because often, hiring from within is hurting the Church. What would you add to the list? Missed any of the previous posts? Get caught up. So now that we have addressed the churches, we start getting into the meat of this vision. God invites John to heaven where he sees the throne of the Ruler of the Universe. While there, he sees lots of symbols. All of these symbols are used often in the Old Testament. That is how we know what they typically represent. So, what do they all mean? I’m just going to make quick notes about what I believe they represent. The Sea – Represents separation. Why do they have so many eyes? – They miss nothing. They proclaim God’s holiness, his unlimited might and power. ALL of creation cries out in praise to God. So here is the real question. What is the point of all of this? What are we setting the stage for? What is the message? The message: You think Rome is powerful? 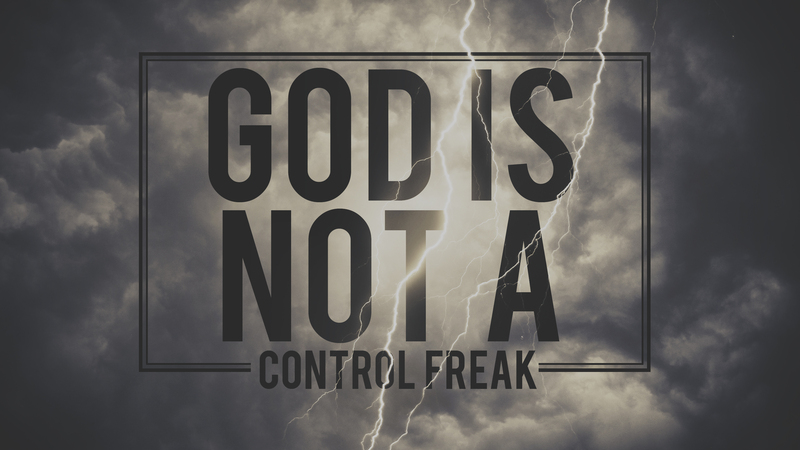 Just look at how much more mighty God is! “You are worthy our Lord and God” was a phrase used to worship the emperor. Here we see the Church using this phrase to worship the true God. The Number Seven – This is a very important number in this book. Throughout the Bible, the number 7 represents being perfect and complete. The seven seals on the scroll show that is was perfectly and completely sealed. No one was worthy to open it and John wept. Why would John start crying? – Because it looked like there would be no help for the church since no one could open the seal. But wait!!! The lamb is obviously Jesus. Why does the lamb have seven horns? Well you know what the number 7 means and horns depict power (Deuteronomy 33:17, 1 Samuel 2:10). So put two and two together. You got it! This shows that Jesus has complete and perfect power. Horns also represent kings (as we will see later in this book) so we also see that Jesus is the true and perfect king. Here, the angels and every living creature worship Jesus. He has the power to open the scroll! He has the power to defeat Rome. That’s what we see in this scene, the power and worthiness of Jesus. And most of all, he is worthy to receive worship from every creature. So let’s start understanding Revelation is talking about. Remember, verse 1 gives us an important message about how to read this book: “Things that must SOON take place.” And then again in verse 3 we read “the time is NEAR”. We start off by reading that Jesus is coming! He is going to set things right! The wording comes straight out of the Old Testament and reminds us that God does not fail to deliver His people. Many people will point right away to us reading of Christ coming in the clouds as Jesus coming back at the end of time. I don’t think that matches the time frame we read right at the beginning of the book. I think as we continue to read this book it will be obvious to us that we are reading of Christ coming to rescue his Church from the persecution of Rome. In the Old Testament we often read of coming in the clouds as a way to describe God’s judgment. In the same way, the sound of a trumpet is often used before the voice or appearance of God. Basically, Jesus is super powerful. John gets told to write everything down. Already John is told that the lampstands are churches and the stars are angels so what does that mean? This book has lots of figures and we should not read it literally. So now we get to the letters to the churches. Why are these here? They are not separate from the rest of the book. It’s important to remember that this whole book was written to churches going through a very specific experience. Not to people thousands of years later. Also note the creativity in the description of Jesus to each church. Having a temple to the Emperor was something the city of Smyrna was very proud of. Refusing to worship the Emperor there was seen as a disgrace and un-patriotic. It was dangerous to be a Christian here. There was no knowing what might happen. Jesus tells them to expect prison, death, slander, and especially poverty. Why? To do business there you had to worship Caesar at the altar once a year. It also didn’t help that the Jews were giving Christians up to the authorities. Jesus tells them to endure and be faithful to death. Pergamum was a great religious center with an altar to Zeus set 800 feet up on the side of the hill. The altar looked like a very large throne which is probably what is called “satan’s throne”. Roman governors were divided into two groups: those with the right of the sword and those without. The governor of Pergamum had the right, which meant he could execute Christians for any reason. However, Jesus refers to himself as the one with the sword. Jesus promises them a white stone which is what was used to indicate someone was found innocent in a trial. They may be found worthy of execution by the government but they are found blameless by Jesus. However, they do have a problem. Some are being swayed by false teaching. This church has the opposite problem of Ephesus. 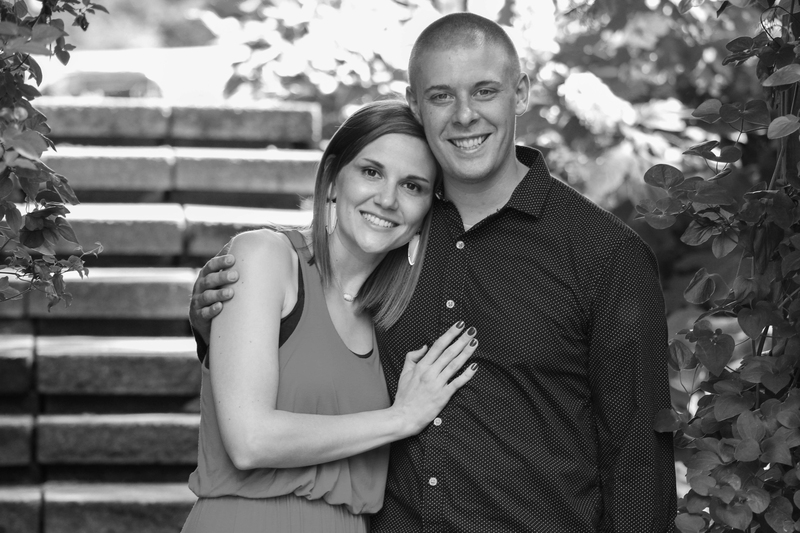 They have love, but they are falling to false teaching. Jesus warns them because he is going to bring judgment. The church is Sardis had a reputation of being alive and thriving. It was the cool thing to be a member of the church in Sardis. But God saw something different. Jesus says their works were not right in the sight of God. When that’s the case, it doesn’t matter how good the things are that men say about you. Maybe when the world doesn’t have anything bad to say about you it’s a sign that you are too much like the world. In the Bible, an open door is an opportunity for evangelism. The church was weak and faced opposition but Jesus was still providing a way for them to make his name known and he expected them to go through it. This is the only church Jesus has nothing good to say about. This city was proud and felt like they needed nothing. In fact, they were once destroyed by an earthquake and refused help from the Romans because they wanted to rebuild on their own. It was one of the wealthiest cities in the world yet Jesus tells them they are poor. It was a major manufacturer of clothing yet Jesus tells them they are naked. It had a medical enter famous for its medicine for eyes yet Jesus tells them they are blind. Then we have the water metaphor. Loadicea was in the middle of Hierapolis which was known for it’s hot healing springs and Colossae which was known for its cold pure water. Both are useful, but lukewarm water (which was the temperature the water was from both places by the time it was piped to Laodicea) is good for nothing and Jesus spits it out. Also, remember what the door stands for? Well Laodicea is not taking advantage of that opportunity. In fact, we see Jesus knocking at HIS OWN DOOR. He wanted to be let back into his own church. Now that the letters are complete we will see what will happen to God’s enemies that are persecuting his Church. The book of Revelation is a book of judgment. First we get judgment against the people within the church, now we will get it for the people outside.